Sixlets Shimmer Princess Mix - these are so adorable with their pearlesent finish and malty chocolate core. Allan Wine Gums - a chewy, fruity gummy with a more adult taste and much denser texture. Jelly Belly Green Apple Jelly Beans - JB is clearly the queen (or is it king?) of jelly beans and they're so good I don't even mind the green apple ones. That says a lot as I'm not usually into green apple flavoured anything. Mini Sour Watermelon Slices - a super fruity mini watermelon candy dusted with mild sour sugar. I found these too realistic (I don't like watermelon) but they were devoured by a watermelon loving friend. Efrutti Orange Slices - an interesting dual-texture gummy with a fluffier white base and transparent gummy top. Super fresh and a nice, not overly sweet orange taste. Efuitti Sour Bubblegum Bottles - another sour dusted gummy, but with an interesting sweet bubblegum flavour. I don't typically care for bubblegum, but these were surprisingly great. 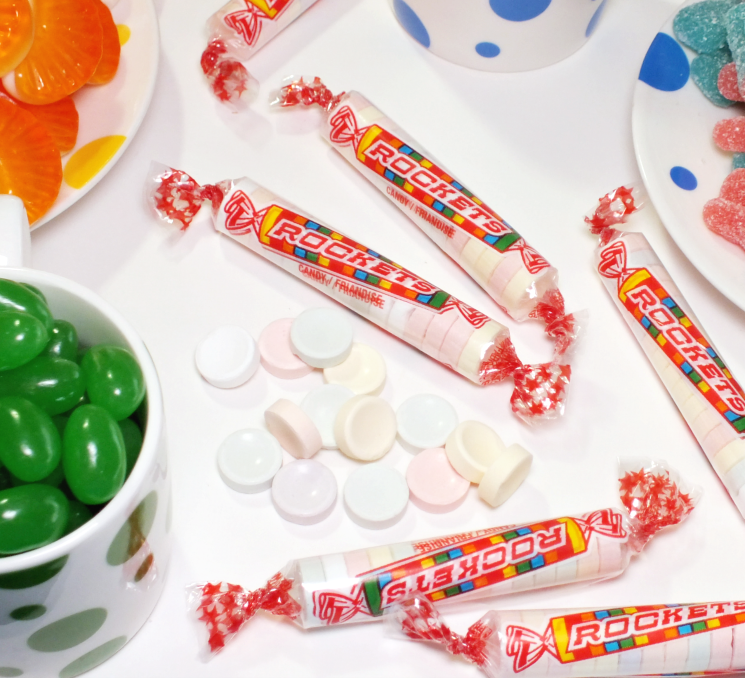 Overall, I'm a fan of the service- who doesn't like candy? The quality is amazing, they include a hand written note in the top of the box for an extra special touch. 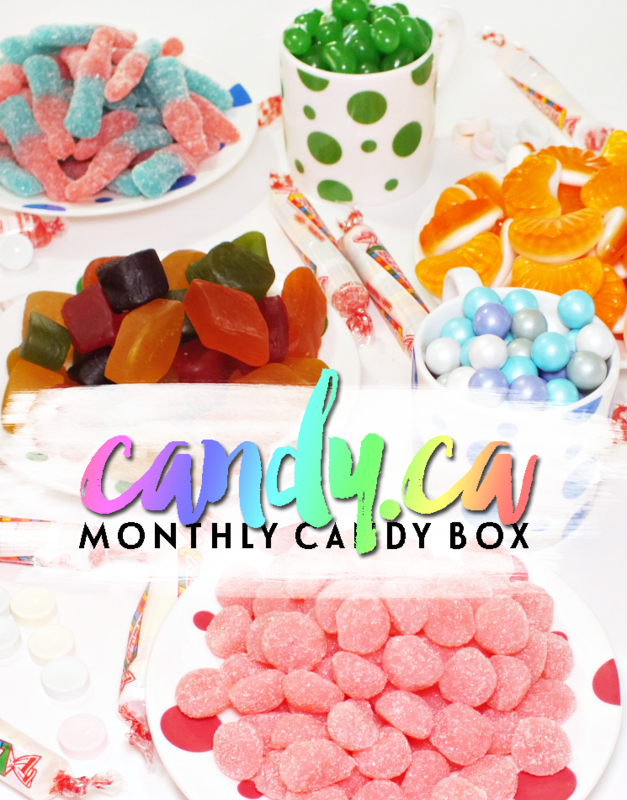 Boxes ship on the 20th of every month, so there is still time to get in on the upcoming June box, should you want a candy-gram next month. What do you think? Would you subscribe to something like this?